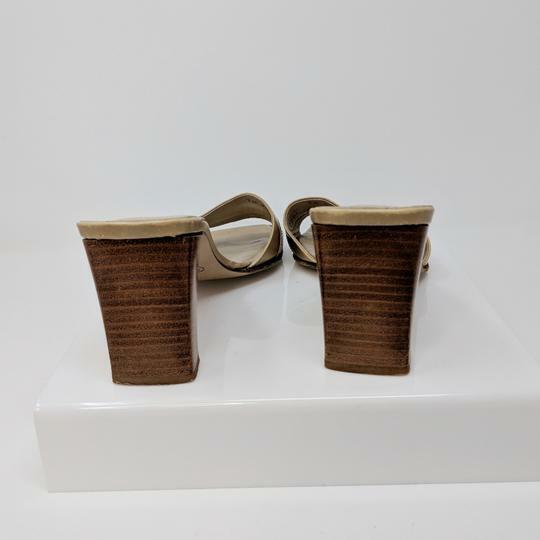 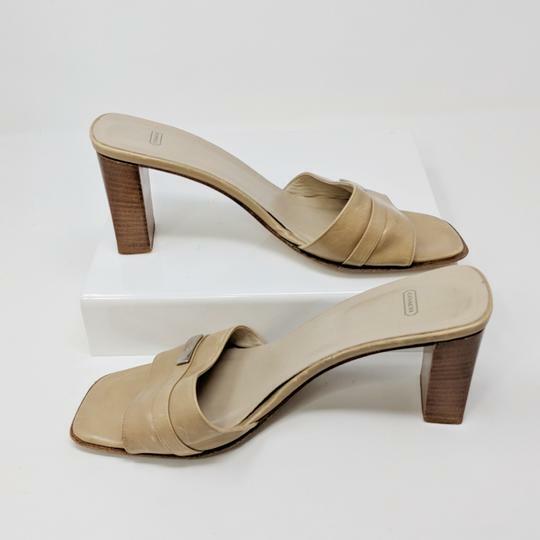 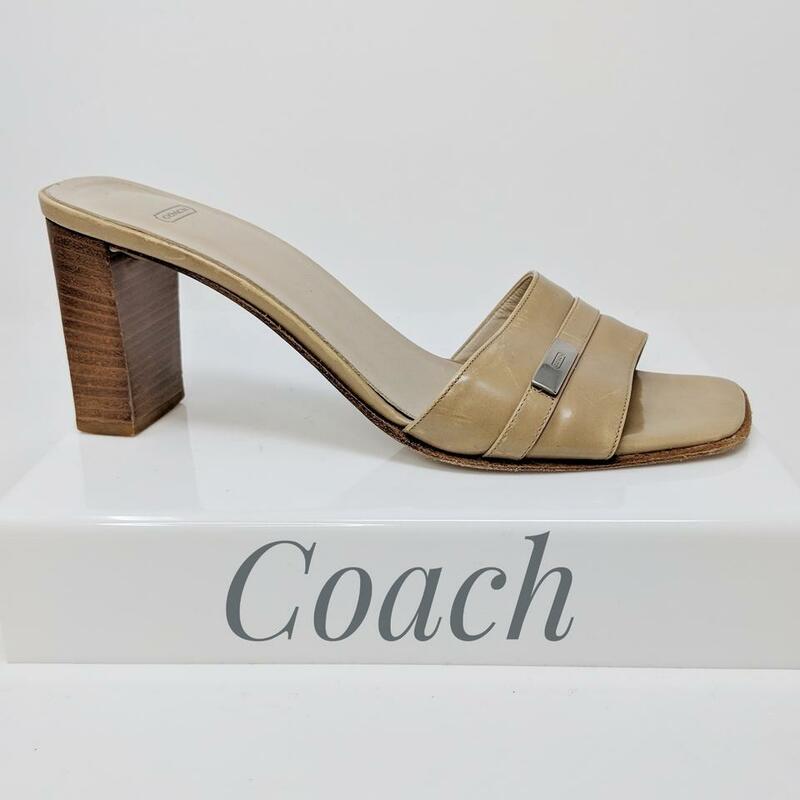 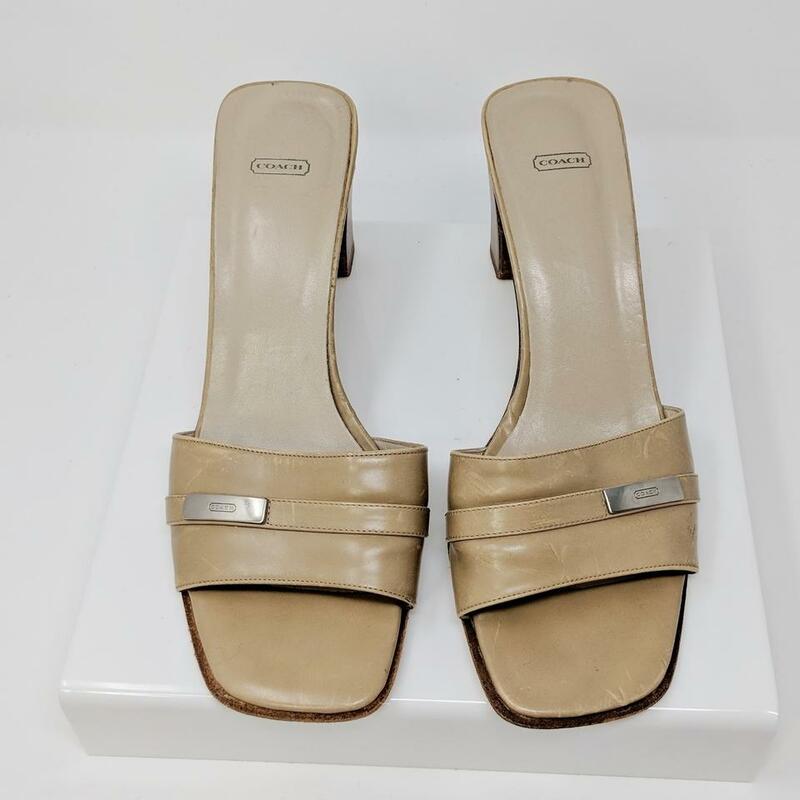 COACH Mannetta tan leather slip on sandal with stacked wooden heel. Silver engraved COACH placket on vamp. Shoes show mild scuffing from storage. 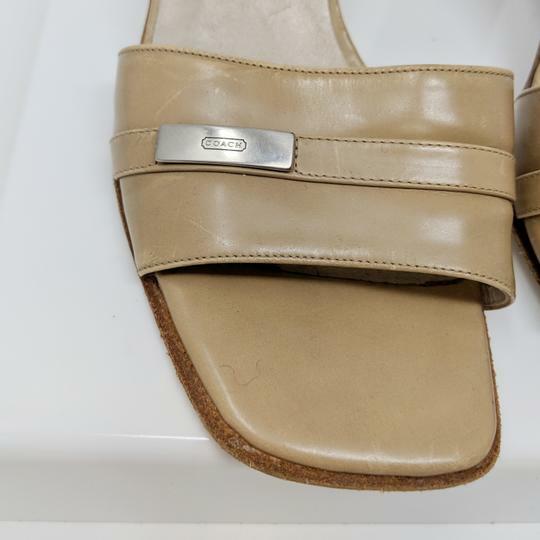 No major wear on heel or does. Overall great condition, leather is very soft. 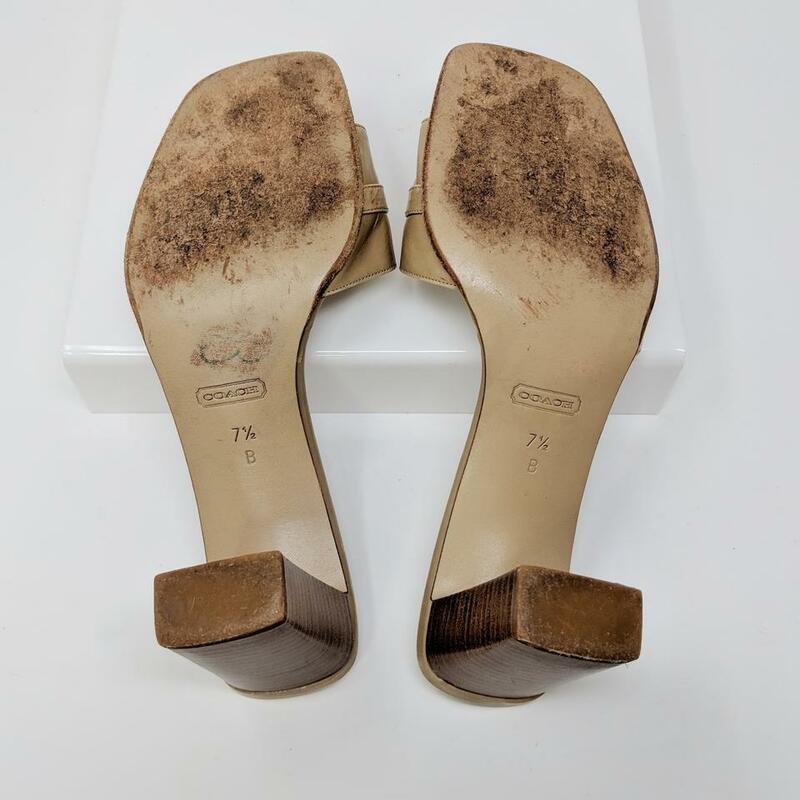 See photos for details of scuffs.